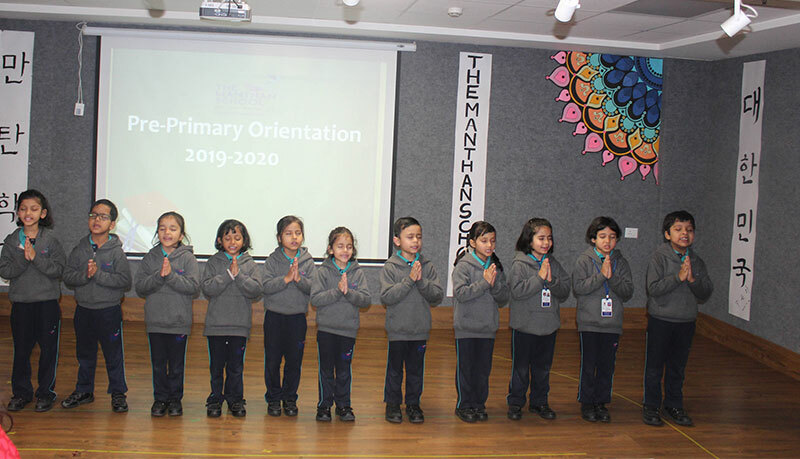 An ‘Orientation Programme’ was organized for the parents of Pre- Primary wing 2019-20. The programme commenced with the prayer followed by a welcome dance by little Manthanites. 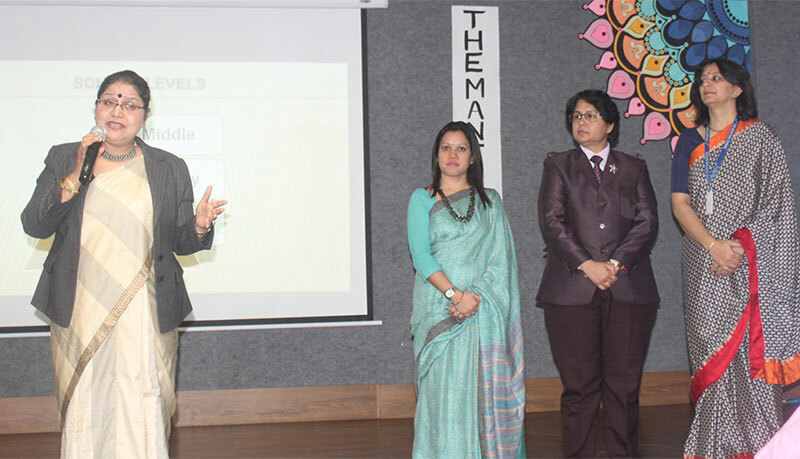 The school Principal Ms. Poonam Kumar Mendiratta welcomed the parents of the Pre-Primary wing and shared the school vision, the curriculum, school systems, teaching methodologies and the co-scholastic activities. She laid stress on effective communication between the teachers and parents and also sought their support and suggestions so that the best could be done for the overall development of the students. She also gave tips on how to nurture a child with love and care to build a strong foundation for a glorious future. The Pre-Primary Headmistress Ms. Pooja Bajaj proposed the ‘Vote of Thanks’.